Enjoying the 2018 world cup? Have you been keeping track of the goalscorers, red cards and penalty takers? 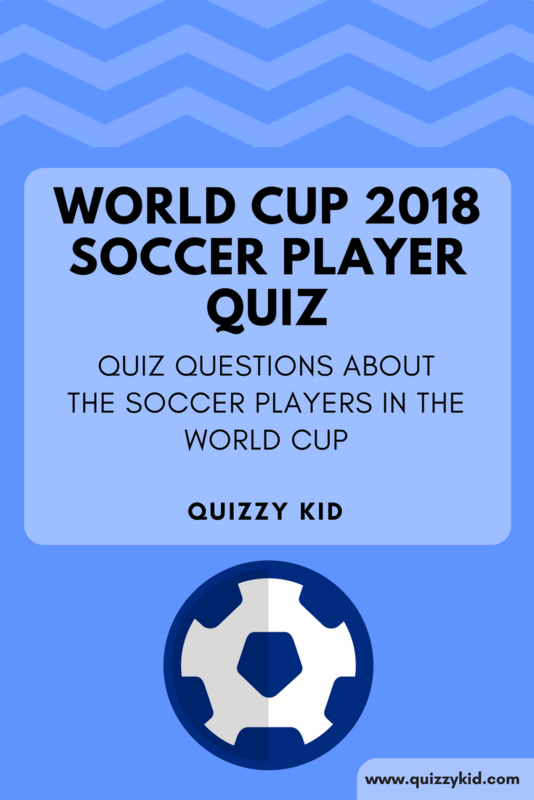 Try out our World Cup 2018 soccer player quiz and see how many you get right! If you want more questions as a printable document then our 20 question quiz pack is what you need. We have more fun Sports quizzes on out Sports page. Q1. Which Russian player scored the first goal of the world cup? Q2. Who was the first player to be sent off? Q3. How did Egypt goalkeeper Essam El Hadary make history after appearing in his side’s 2-1 defeat by Saudi Arabia? At 45 years and 161 days, El Hadary became the oldest player to ever appear at a World Cup. Q4. Who scored a hat-trick against Spain in Portugal’s first game at the 2018 World Cup? Q5. Harry Kane scored two penalties against Panama. How did he score a 3rd goal to complete his hat-trick? The ball hit his heel and deflected past the goalkeeper. Q6. What is the name of the Spanish goalkeeper who let in 2 goals in the penalty shootout against Russia? Q7. What is the nickname of the Nigerian national team? Q8. Who scored 2 goals for France against Argentina in the first knockout game? Q9. Lionel Messi and Cristiano Ronaldo both share a surprising record in the knockout stages of the World Cup - what is it? Neither of them have ever scored a goal at the World Cup knockout stage. Q10.Which former England defender now manages the England team?